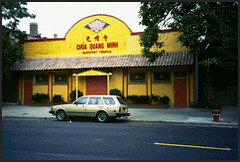 Chicago holds a special place in the history of the world’s religions in America. It was here, in 1893, that the World’s Parliament of Religions took place as part of the great Chicago World’s Fair. It was inspired by the energy, growth, and optimism of an America just beginning to lay claim to a place in the world of nations. The Parliament planning committee sent out 10,000 invitations to people around the world, and representatives of many of the world’s great religious traditions converged on Chicago. It was the first time that Hindus, Buddhists, Christians and Jews met together on American soil to speak of their faith with one another. 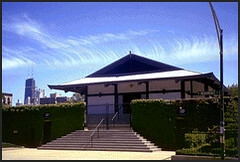 As the Chairman of the Parliament, Presbyterian minister John Henry Barrows, later wrote, “It was felt to be wise and advantageous that the religions of the world, which are competing at so many points in all the continents, should be brought together not for contention but for loving conference, in one room.” And so they did during seventeen days of meetings and speeches in Chicago. One hundred years later, in 1993, Chicago again convened a Parliament of the World’s Religions. This time, however, those who had previously been invited as guests were now among the hosts. There were Hindu, Buddhist, Muslim, and Sikh committees, working alongside Protestants, Catholics, Orthodox Christians, and Jews to plan the centennial event. By 1993, Chicago had truly become a multireligious city. The local committees that convened to plan the centennial were far more diverse than the original Parliament had been. When more than seven thousand people assembled for the Parliament, it was the first clear public manifestation of the new religious reality of Chicago—and of America. A good many of the Muslims who participated in the Parliament came from the many mosques of the Chicago area (the number now exceeds ninety). One of the oldest Muslim communities here is Bosnian, which has a strong presence at the Islamic Cultural Center of Greater Chicago in Northbrook. 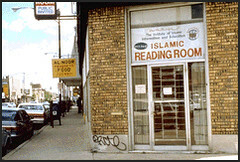 Other Muslim immigrants, primarily from India and Pakistan, converted an old movie theater into the Muslim Community Center. In the western suburb of Bridgeview, almost 700 Pre-kindergarten–12th Grade Muslim students study daily at the Universal School, one of the largest Islamic schools in North America. In Lakeview, close to the shore of Lake Michigan, college students study at American Islamic College, the first Islamic University in the United States. 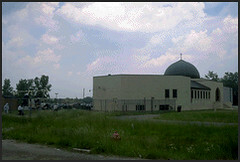 On the city’s South Side, one finds more than twenty predominantly African-American Islamic centers and Mosque Maryam, the headquarters and National Center for the Nation of Islam. 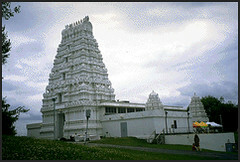 Chicago’s many thousands of Hindus worship in several Hindu temples, including two massive temples built from the ground up in the suburbs of Aurora and Lemont. 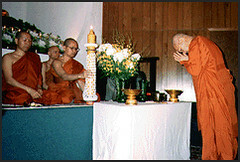 At least seventy-five Buddhist temples and communities from the Chicago area have joined the Buddhist Council of the Midwest. These include a Japanese Jodo Shinshu temple, a Korean Buddhist temple, the Burmese Buddhist Association, the Thai Wat Dhammaram, Cambodian, Vietnamese, Laotian, and Tibetan Buddhist communities, and homegrown American Zen communities. The Baha’i faith has its U.S. headquarters at its beautiful landmark temple in Wilmette, north of Chicago. The Sikhs have built a striking gurdwara, spread over fourteen acres of land, in the suburb of Palatine. 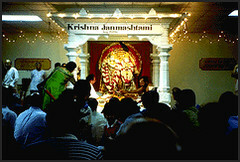 In 2013, the Jains of the Chicago area celebrated the twentieth anniversary of their temple in Bartlett. 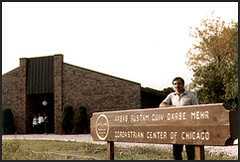 Parsis, originally from the Indian subcontinent, and Iranian Zoroastrians come together at the Zoroastrian Association of Metropolitan Chicago in the Burr Ridge suburb. The churches of Chicago also reflect the changing landscape of the United States. Chicago Mar Thoma Church, on the north side of Chicago, is home to many South Indian Christian families. The congregation of Emmanuel United Methodist Church was largely Scandinavian in the early 1900s, and now has a congregation made up of members from Jamaica, Guyana, Trinidad, India, Pakistan, and Puerto Rico. Neighborhood parishes like St. Mary of the Angels in Bucktown offer services in English, Polish, and Spanish. The suburbs have seen the growth of non-denominational mega churches, such as Willow Creek Community Church, which averages over 20,000 attendees weekly. Interfaith networks and initiatives have also flourished in Chicago. Interfaith Youth Core (IFYC), one of the most well known interfaith organizations in the country, encourages interfaith cooperation through the Better Together Campaign, Interfaith Leadership Institutes, and Campus Partnerships. The Chicago Interfaith Family School provides Catholic and Jewish education to interreligious families. Other interfaith organizations address key social issues: Interfaith House works with an interfaith model to aid ill and injured homeless adults in the Chicago area and Interfaith Worker Justice engages diverse faith communities to advance the rights of workers. In 1893, the world came to visit Chicago, bringing with it religious traditions unimaginable to many of the city’s residents. Today, thanks to new immigration post-1965, that same city has become a home to the world and religious diversity is now a given in the Windy City whose legacy of hospitality continues to serve it well.